Matthew Milèo found wellness long before the W word became a pervasive part of today’s culture. “I got my first Vitamix in 2002!” the California-born entrepreneur proudly reveals of his commitment to healthy eating, yoga, and meditation, which began nearly two decades ago. But a similarly early fascination with luxury tugged at his Zen inclinations, driving him straight to the Chanel beauty counter, where he worked as a visual merchandiser for 10 years. That’s where he developed what he describes as an “obsession” with skin care. Milèo, who grew up between San Francisco and Denmark, got deep into formula research, using his chemistry degree to dissect ingredient labels and even mix up his own solutions and salves for friends and family members. But his homespun projects took a serious turn in 2015 when his godmother was diagnosed with cancer. “The chemo was really damaging her skin,” says Milèo, who began seeking out natural molecules that could both help soothe her irritation and ward off the disease. That’s when he discovered oud. With anti-inflammatory and powerful calming benefits, this ancient essential oil is at the heart of his new knockout skin-care range. Fragrance fanatics are already well aware of the lure of oud. With a deep, smoky, woody scent, agarwood resin from the Aquilaria tree—which can take 100 years to fully develop— has roots in the Middle East and Southeast Asia, where it is a wildly popular perfume note. But its skin-care properties are slightly less known. After sourcing the “right” kind of oud (a Thai strain that is harvested in small batches and never diluted or mixed with synthetic additives), Milèo began custom-blending curative oil elixirs, mixing his oud with a combination of organic, wild-crafted, and sustainably sourced botanical essences. 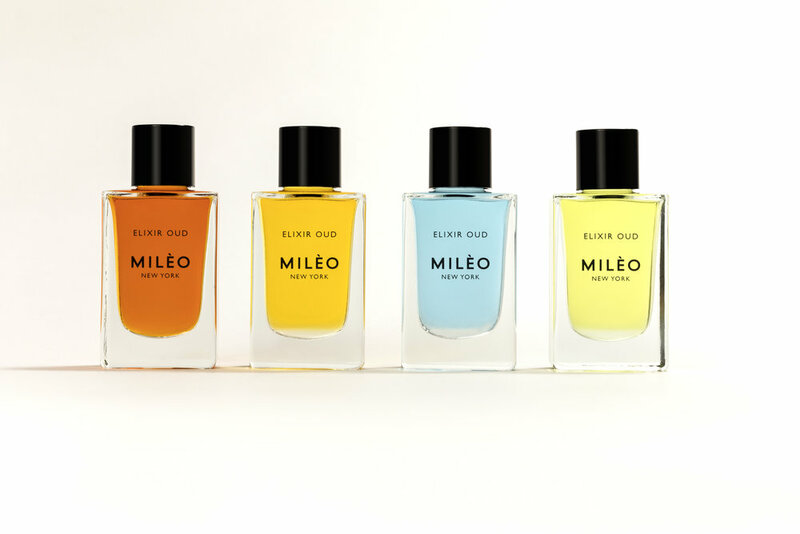 The goal was to create potent—and above all, pure—distillations for his godmother; but Milèo received an eye-opening education along the way. “First of all, you can’t just mix something together at home, and assume that it will smell good—or work,” he admits, debunking a commonly held belief that has helped drive the sales of bespoke beauty products in boutiques (and on certain Etsy stores). Secondly, and perhaps most importantly, Milèo noticed a big problem in the typical skin-care supply chain: Most brands blindly trust their supplier, “which is a mistake,” he says, noting that upon receiving 10 different argan oil samples on one occasion, he discovered 10 different variations in quality, with 10 different levels of efficacy. “That’s why I started doing GC-MS,” he explains of gas chromatography–mass spectrum analysis, a newly popular, and increasingly important, testing method that can quantify the time an ingredient was harvested and how it was distilled, to confirm that it is free of any refinements, chemicals, pesticides, or synthetic enhancements before it makes its way into your skin-care products. GC-MS testing isn’t uncomplicated (or cheap), but its ability to ensure that the ingredients Milèo has infused into his four watercolor oud elixirs—the clarifying French violet flower leaf in Labyrinthe Vert, the soothing Moroccan blue tansy flower in Maroc D’Azur, the brightening Indian pink lotus flower in Amber Fort, and the detoxifying Corsican golden immortelle flower in Monte D’Oro—are truly unadulterated, and that they work. “I wanted real soil to bottle,” he insists, detailing an uncompromising commitment to ensuring that each ingredient is transported overnight and stocked in glass, never touching volatile plastics.